At Fleur de Soleil we love colorful breakfasts and easy-to-live tablecloths that can be cleaned with a simple sponge but sometimes we do use cotton tablecloth ! 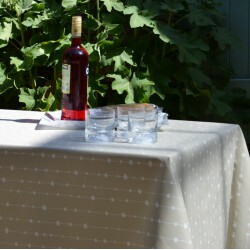 Yes, we don’t hide you will have to put your cotton tablecloth to the washing machine like any other fabric tablecloth but it will be perfect for official lunches or punctual dinners. 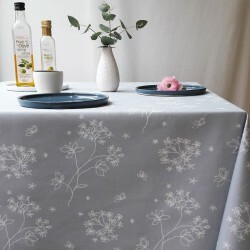 Our 100 % cotton tablecloth are available in all our designs so you can coordinate them with our napkins and why not with your curtains…! 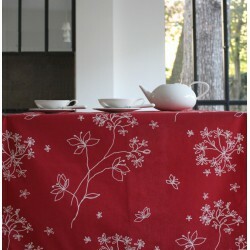 Cotton tablecloth 100% made in France.The cotton tablecloth Astrancia red is available in rectangle, square, round and oval. Cotton tablecloth 100% made in France.The cotton tablecloth Astrancia ligt grey is available in rectangle, square, round and oval. Cotton tablecloth 100% made in France.The cotton tablecloth Astrancia beige is available in rectangle, square, round and oval. 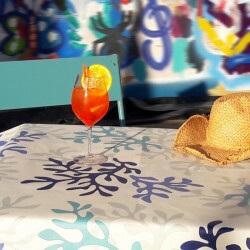 Cotton tablecloth 100% made in France.The cotton tablecloth Camelia orange is available in rectangle, square, round and oval. 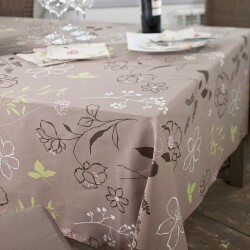 Cotton tablecloth 100% made in France.The cotton tablecloth Camelia taupe/pink is available in rectangle, square, round and oval. Cotton tablecloth 100% made in France.The cotton tablecloth Coral blue is available in rectangle, square, round and oval. 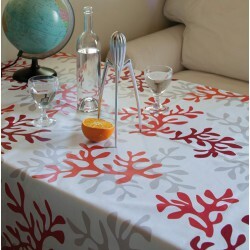 Cotton tablecloth 100% made in France.The cotton tablecloth Coral red is available in rectangle, square, round and oval. 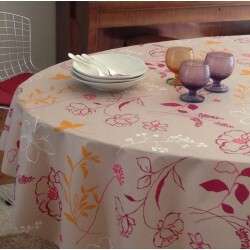 Cotton tablecloth 100% made in France.The cotton tablecloth Coral grey is available in rectangle, square, round and oval. Cotton tablecloth 100% made in France.The cotton tablecloth Mountain beige is available in rectangle, square, round and oval. 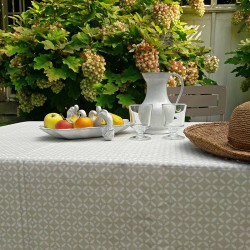 Cotton tablecloth 100% made in France.The cotton tablecloth Mosaic beige is available in rectangle, square, round and oval. 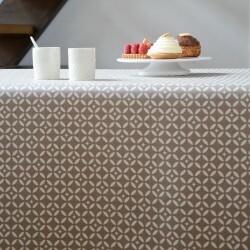 Cotton tablecloth 100% made in France.The cotton tablecloth Mosaïque grey is available in rectangle, square, round and oval. Cotton tablecloth 100% made in France.The cotton tablecloth Pearls beige is available in rectangle, square, round and oval. 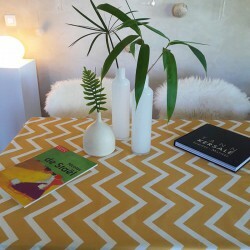 Cotton tablecloth 100% made in France.The cotton tablecloth Hound's-tooth cloth grey is available in rectangle, square, round and oval. 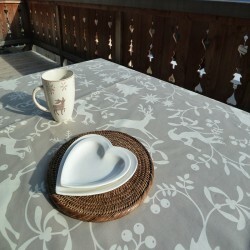 Cotton tablecloth 100% made in France.The cotton tablecloth Feathers taupe is available in rectangle, square, round and oval. 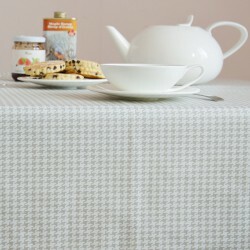 Cotton tablecloth 100% made in France.The cotton tablecloth Fish grey is available in rectangle, square, round and oval. 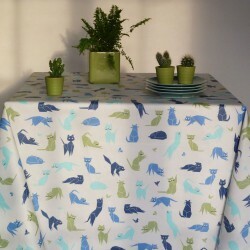 Cotton tablecloth 100% made in France.The cotton tablecloth Cats blue is available in rectangle, square, round and oval. 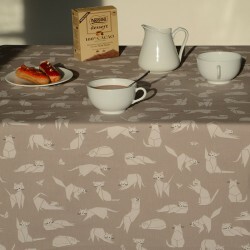 Cotton tablecloth 100% made in France.The cotton tablecloth Cats taupe is available in rectangle, square, round and oval. 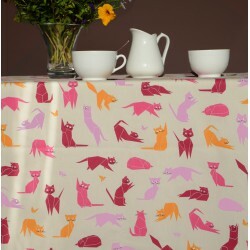 Cotton tablecloth 100% made in France.The cotton tablecloth Cats pink is available in rectangle, square, round and oval. 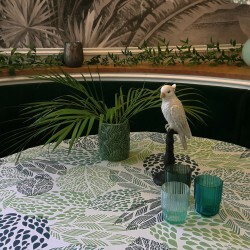 Cotton tablecloth 100% made in France.The cotton tablecloth Mosaïque sandstone is available in rectangle, square, round and oval. 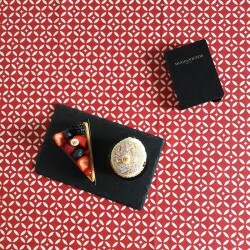 Cotton tablecloth 100% made in France.The cotton tablecloth Mosaïque red is available in rectangle, square, round and oval. 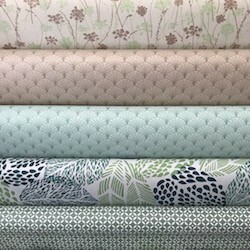 Cotton tablecloth 100% made in France.The cotton tablecloth Papyrus Watercolor Green is available in rectangle, square, round and oval. Cotton tablecloth 100% made in France.The cotton tablecloth Papyrus nacre is available in rectangle, square, round and oval. 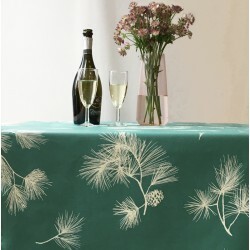 Cotton tablecloth 100% made in France.The cotton tablecloth Pine Tree Green is available in rectangle, square, round and oval. 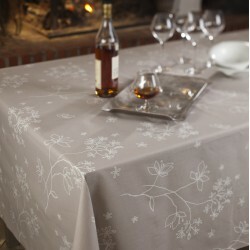 Cotton tablecloth 100% made in France.The cotton tablecloth Stars taupe is available in rectangle, square, round and oval. 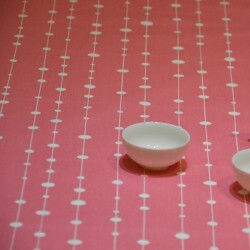 Cotton tablecloth 100% made in France.The cotton tablecloth Pearls pink is available in rectangle, square, round and oval. 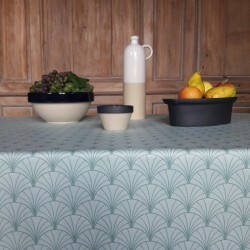 Cotton tablecloth 100% made in France.The cotton tablecloth Leaves green is available in rectangle, square, round and oval.